What’s not to love about a button? 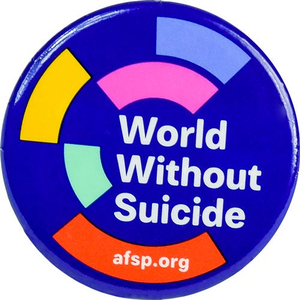 This World Without Suicide Button, featuring AFSP’s brand new color palette, lets people know you stand up for the cause, whether you rock it on your backpack, a lapel, a community bulletin board, or anywhere else. 1.5”. Comes in packs of 25.